An inner join of A and B gives the result of A intersect B, i.e. the inner part of a venn diagram intersection. An outer join of A and B gives the results of A union B, i.e. 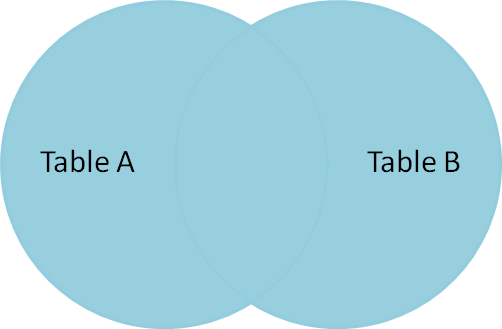 the outer parts of a venn diagram union. Note that (1,2) are unique to A, (3,4) are common, and (5,6) are unique to B. 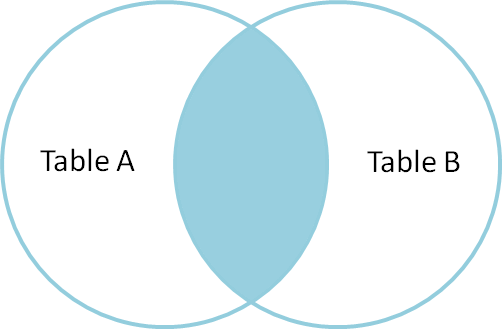 An inner join using either of the equivalent queries gives the intersection of the two tables, i.e. the two rows they have in common. A left outer join will give all rows in A, plus any common rows in B. 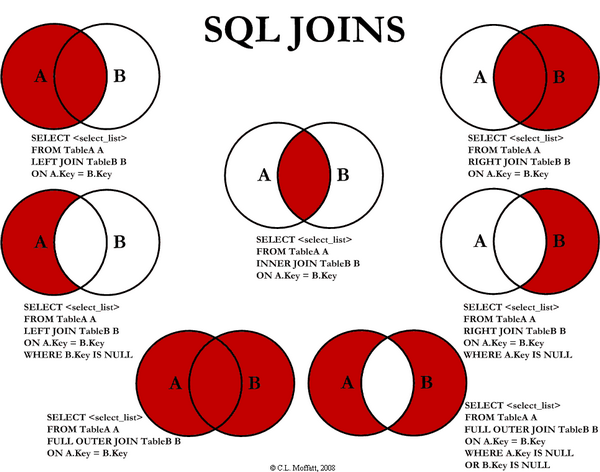 A full outer join will give you the union of A and B, i.e. All the rows in A and all the rows in B. If something in A doesn't have a corresponding datum in B, then the B portion is null, and vice versa. 0 comments to "Inner join Vs Outer join"